Dare is now Available as an Audiobook! Yep, it’s official. If you’re the type of person who loves audiobooks (like me! 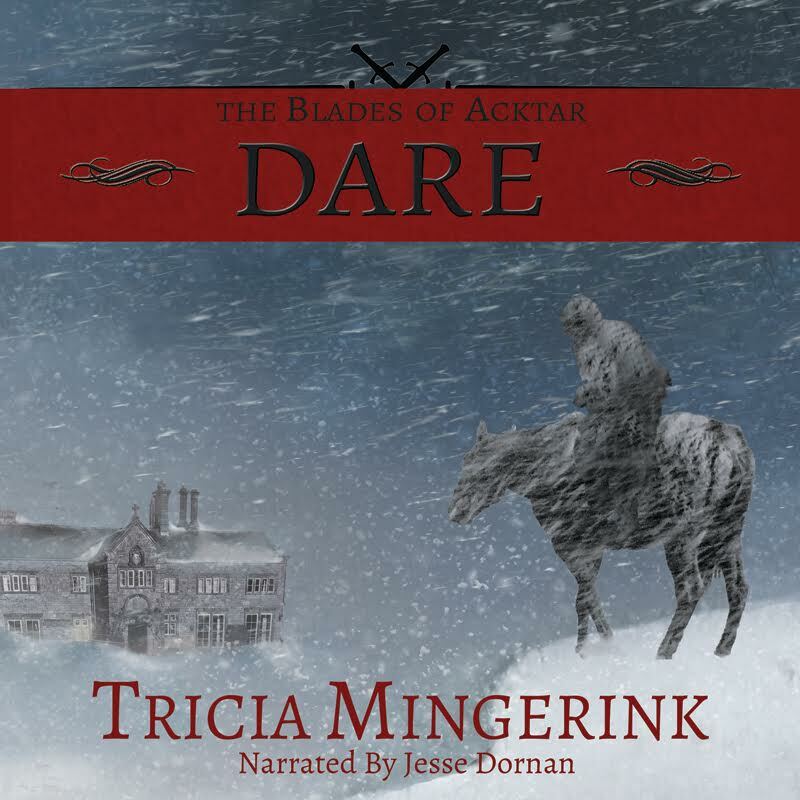 ), then Dare (The Blades of Acktar #1) is now available for you! I’m geeking out more than a little bit about it! Since I’ve had a lot of people ask me questions about how this all came about and how and indie author even produces an audiobook, I’ve decided to put my answers here so everyone can find them easily. Why did you want an audiobook version? I grew up listening to audiobooks on family road trips, and I survived my long commute to college( and I currently survive my long, downtown traffic commute) through audiobooks. I know there are a lot of people who are so busy that their main source of books are audiobooks. And there are some people who prefer audiobooks over reading for themselves. Right now, there are only a limited number of Christian fantasy and other speculative fiction books available on audiobook. Hopefully that will continue to change as the audiobook market continues to grow. I used ACX, which is an Amazon-affiliated company. It’s to audiobooks what Kindle Publishing is for ebooks and Createspace is for print on demand paperbacks. It’s a professional way to DIY. Or, in the case of an audiobook, collaborate with a narrator. ACX is a place where authors can find and work with narrators to produce an audiobook. For me, the process looked like this: after Dare released in June, I posted it on ACX in late June with my specifications for a narrator. By August, I’d gotten 1 audition, but the voice wasn’t quite right and the narrator wanted way more money than was within my price range. In August, I attended the ACFW Writer’s Conference. While there, I went to a session run by Traci Hilton, a Christian indie author of cozy mysteries, on indie publishing. She had a lot of great tips, and we spent some time in the session discussing audiobooks. She suggested going out and approaching narrators instead of waiting for them to come to you. So early in October, I spent an evening on ACX looking through the list of narrators that meant my specifications (male, young adult(ish) voice but not too young, certain price range) and listening to their samples posted on the site. I came up with a list of six narrators that I narrowed down to three. One of those top three was already my favorite. I listened to all of three seconds of his audio sample and knew right away that he’d be perfect for Dare. But I didn’t want to get my hopes up. I sent him a message that night, figuring it’d be a while before I heard back and the answer would probably be no. I got a message back the next morning. Yes, he’d love to narrate Dare. He sent in an audition, and I squealed out loud when I heard it. Click here to listen to the first five minutes of Dare. The narrator’s name is Jesse Dornan. Dare is his first full-length audiobook. I’m putting together an interview with him. After that, he recorded the book, I listened to it several times and gave a few changes to be made, the whole thing was posted on ACX, and I approved the final version. A week after I approved it, it was up on sale on Audible. ACX made the whole process really easy, and the risk is mostly on the narrator’s part since the narrator doesn’t get paid until the final version is approved. It can be purchased in digital format on Amazon, Audible, and iTunes. Right now, Amazon is still processing it in their system and checking to make sure it is properly formatted for Whispersync. With Whispersync, you can flip between the Kindle version and the audio version, and it will pick up where the other one left off. I’ve never done it, so I’m not exactly sure how it works. I do know the audiobook and the Kindle version have to match nearly 100% for Amazon to approve it for Whispersync. Right now, I’m being told this could take up to a month to process. When Whispersync is approved, however, it means that if you purchased the Kindle version of Dare, you’ll be able to purchase the audiobook at a discount. If you’re a member of Audible, you also can purchase the audiobook at a discount. Will it be available on CD? No, it’s only available in digital format. However, I happen to know you can burn it onto CDs for your personal use (emphasis on personal use only. Anything else is piracy). I won’t explain how to do it here, but it is easy enough that I figured out how to do it. What do you guys think? Are you excited for an audiobook version?